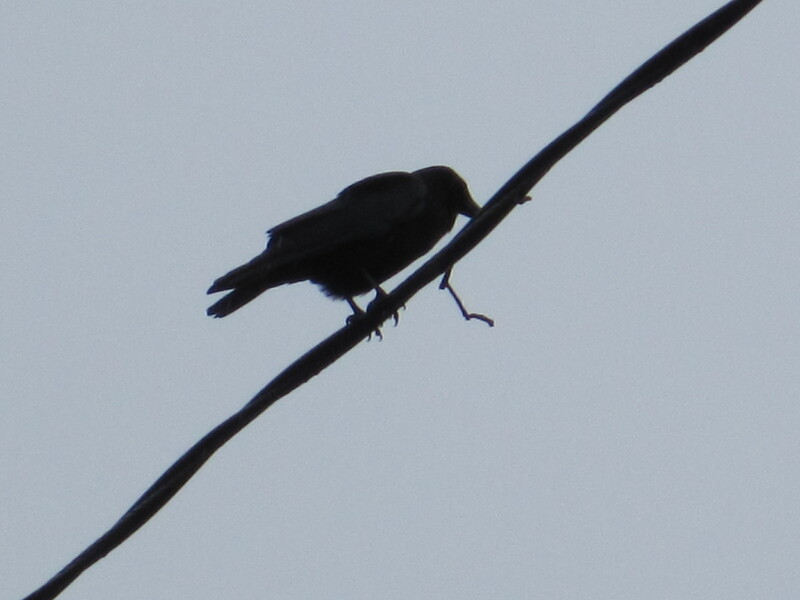 Crows do a little dance with sticks this time of year. They gather them up and fly around like crazy birds. For the uneducated this seems like a strange toy to be carrying around. The truth of the matter is, they are building nests. Watching out my work window this week, the resident family performed the Stick Dance. They tried several of the pine trees with different sticks. One of them would fly into the tree top with the carefully picked stick in his/her beak. Then they will flounce around in the boughs doing a test of their sturdiness. I think of us humans testing furniture at the store before we buy. 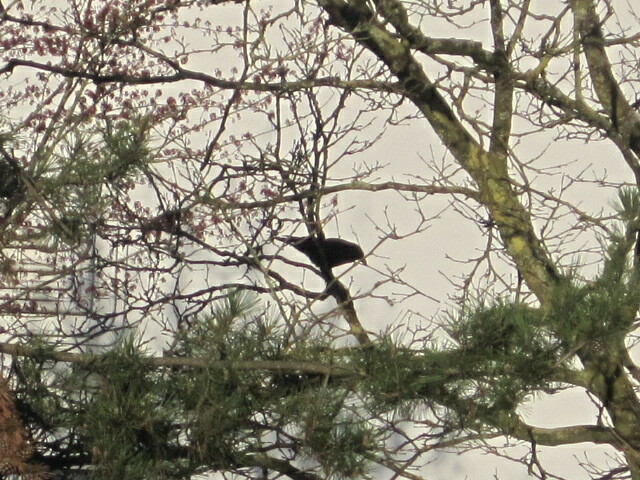 Crows like to make sure the tree will suit his family too. Don’t be fooled into thinking you have found their nest. They try several trees and will build decoy nests even. Keep your eyes peeled for the crow stick dance this next couple of weeks. If you are lucky you will learn the location of your crows family’s nursery. Thanks for this post, and keep it up!